The party is also rated the one best placed to deliver on five of the six key issues. The ANC national government is regarded negatively among all voters on all of six core issues – economic growth, crime, education, health care, corruption, and land reform – but is also rated the party best placed to deliver on five of them, the exception being fighting corruption, the South African Institute of Race Relations (IRR) said on Sunday. “These are among the banner headline findings in the second tranche of results from our February 2019 election poll,” IRR head of politics and governance Gareth van Onselen said in a statement. Overall, black voters gave negative net satisfaction scores to the ANC government on economic growth (-48 percent); crime (-31 percent); corruption (-33 percent), and land reform (-7 percent), and marginal positive net satisfaction scores on education (+5 percent) and healthcare (+3 percent). 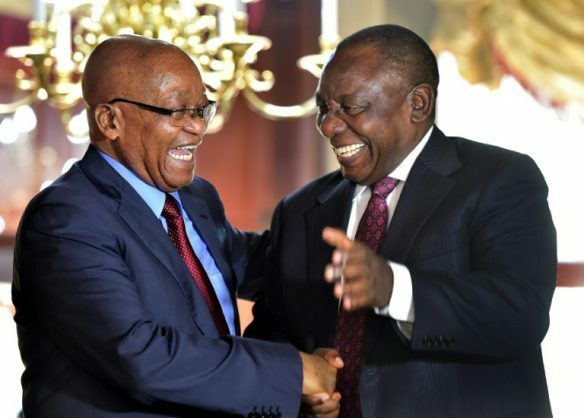 Among ANC voters, 51 percent were “very unsatisfied” with the national government’s performance on fighting corruption, but 47 percent also believed the ANC, rather than the Democratic Alliance or Economic Freedom Fighters, was best at fighting corruption. The poll was in the field between February 12 and 26. The sample was fully demographically representative and comprised of only registered voters. A total of 1611 respondents were questioned. The national margin of error was 3.3 percent, Van Onselen said. Among all voters, the ANC national government had a negative net satisfaction score on all of six core issues. On economic growth it received a net negative score of -56 percent; on crime it scored -41 percent; education -11 percent; healthcare -13 percent; corruption -45 percent; and on land reform -22 percent. The highest net dissatisfaction rate on all issues was recorded among minority voters and DA voters. EFF voters were universally dissatisfied with the ANC national government performance on all six issues, but more sympathetic than DA voters. ANC voters were the most sympathetic to the ANC national government performance, but more dissatisfied than satisfied on three of the six issues. They gave net negative satisfaction scores on economic growth (-36 percent); crime (-16 percent); and corruption (-22 percent). Among all voters, across five of the six issues at a national level, the ANC was selected as the party best placed to deliver on that particular issue. The only exception, as a national issue, was fighting corruption, on which a majority of all voters (30.1 percent) stated that the EFF would do the best job. Significantly, in Gauteng, the DA was chosen as best placed to deliver on three of six issues among all voters – economic growth and job creation (34.9 percent), fighting crime (34.7 percent), and fighting corruption (33.1 percent). The DA universally dominated at every level and on every issue among minority voters, all with a very high majority, Van Onselen said.